Federal government trade statistics for U.S. metropolitan statistical areas (MSAs) have just been released, and the importance of the U.S. border region as a portal for exports is strikingly clear. El Paso MSA, with $24.5 billion in exports in 2015, has become the eleventh largest exporting MSA in the entire U.S., only behind select behemoths such as Houston, New York, and Los Angeles. Perhaps even more important is the fact that with $21.1 billion in exports, El Paso jumped from fourth place to overtake Detroit as the number one exporting MSA to Mexico in the U.S. El Paso ranks ahead of giants such as Houston, Los Angeles, Chicago, New York, and Dallas-Fort Worth as an exporting base to Mexico. This latest development is even more incredible considering that the El Paso MSA, with just under a million people, has but a fraction of the population bases it bested. Many people may argue that El Paso benefits from a paperwork effect, in the sense that a product made in other states or countries, is accounted for by the customs broker handling the paperwork as an El Paso export, even though it is not. Other people may argue that if the product is simply staged and warehoused in El Paso, once it goes to a country such as Mexico, the MSA is benefiting very little from this trade flow. Yes, manufacturing and other value-added operations usually require higher skills and pay their workers more, but there is definite value in creating a warehousing/logistics base revolving around exports. The value is generated in the construction of the warehouses that house the product, the taxes paid on these facilities and the equipment inside, the tax base that the workers’ salaries generate within a community, and the multiplier effect of the operation purchasing local supplies and services. More good news in the Paso del Norte region (west Texas, southern New Mexico and Juarez) centers on the rise of Santa Teresa region of southern Dona Ana County, as a major export platform in the region. The Las Cruces MSA saw its exports rise by 18.3 percent in 2015 to $1.59 billion. The MSA has approximately 213,000 residents, and the City of Las Cruces is the largest population element. However, most of the export growth within this MSA is accounted for by the region around the Santa Teresa Port of Entry. In 2015, the exports from the Albuquerque MSA, which is the state’s largest population and industrial base, rose by 12.6 percent to $1.77 billion. The Albuquerque and Las Cruces MSAs account for approximately 92 percent of New Mexico’s worldwide exports, with Albuquerque at 48.3 percent and Las Cruces at 43.7 percent. If higher export growth occurs in Santa Teresa in the rest of 2016 and future years, this industrial base could overtake the Albuquerque MSA, and could soon generate more than 50 percent of New Mexico’s total worldwide exports. At present, the Santa Teresa region is accounting for the overwhelming majority of New Mexico’s exports to our southern neighbor, as nearly all of the Las Cruces MSA’s exports are destined for Mexico. 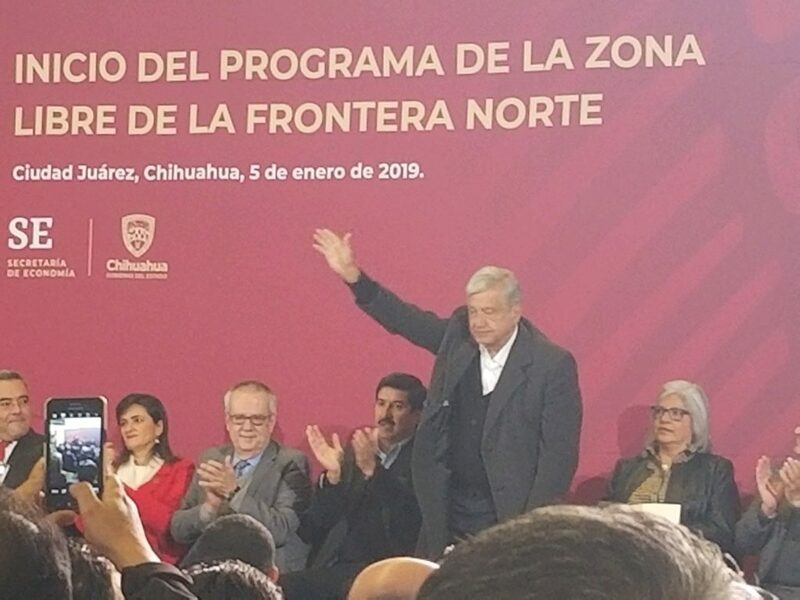 Well more than a billion in exports (a conservative figure) is being generated by the Santa Teresa region, which is between 60 and 70 percent of the state’s total exports to Mexico. The first half of 2016 saw New Mexico’s trade with Mexico rise by another 17.4 percent, with the border region being responsible for most of this increase. Years ago, I predicted that the biggest economic development opportunity for New Mexico was trade with Mexico, which the El Paso region had discovered in the 1960s. In the 1990s, Intel’s plant in Rio Rancho, New Mexico was accounting for as much as 80 percent of the total state’s exports. As New Mexico’s exports to Mexico increased during the past 15 years, this percentage has decreased to approximately 34 percent in 2015. Although many people are worried that Intel’s Rio Rancho plant is on its way to being phased out, the increase of New Mexico’s exports in the southern part of the state could pick up some of the slack. What will sustain the growth in Texas’s west and New Mexico’s southern border regions? It is predicted that Mexico will be producing more than 5 million vehicles per year by 2020. Additionally, Mexico’s aerospace and electronics industries are expanding along the border and in the country’s interior. The U.S. border has become a gigantic supply base for these Mexican industries, with U.S. and foreign companies producing plastic components, fabricated metal, electronics, wire, and other production inputs for companies south of the border. 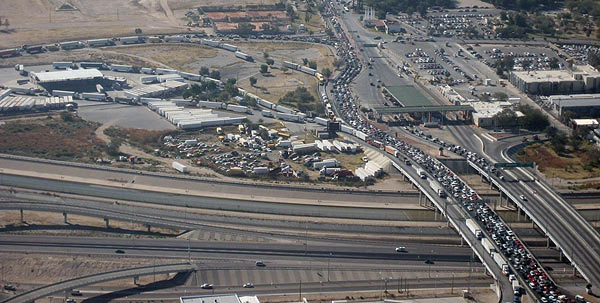 According to Trade Specialist Robert Queen, who covers the El Paso MSA and New Mexico for the U.S. & Foreign Commercial Service, most of El Paso’s export growth is accounted for by the expansion of existing businesses in that city, most likely as a reaction to Mexico’s growing industrial base. Santa Teresa’s growth is also a factor of what is happening in Mexico, but the increased exports are a combination of existing companies expanding and the recruiting of new companies that already have a strong export relationship with a Mexican partner. 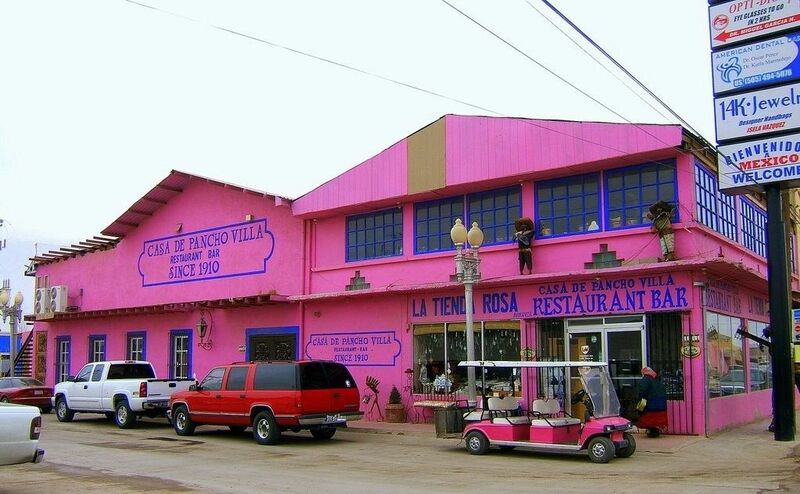 Approximately 75 percent of Santa Teresa’s exports to Mexico are products manufactured in Santa Teresa. Thus, the more that New Mexico and west Texas make their border regions attractive for suppliers to Mexico’s industrial base, the greater chance they will have to sustain the impressive export growth.